Everest tells the story of the 1996 Everest disaster in which numerous climbers lost their lives during a blizzard. It is made as a dramatised action/adventure, starring Jason Clarke and Josh Brolin, and has received a generally positive reaction from critics and audiences. The writer Jon Krakauer, who wrote an exceptional account of the disaster (Into Thin Air, itself turned into a movie some time ago) was somewhat less enthusiastic (“It’s total bull”). 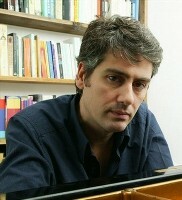 Dario Marianelli wouldn’t be one of the first composers to spring to mind for this type of film – he has generally focused on more literary fayre, providing elegant and sophisticated, frequently understated accompaniment to numerous such films. But perhaps what attracted him to Everest was the chance to write music reflecting the spiritual, ethereal nature of the mountain and the climbers – and that’s certainly what he did – up to a point. Marianelli’s score is generally understated. It opens with the beautiful “The Call”, an expressive and emotional piece which speaks of the desire to summit the great mountain – the ensemble is small and embellished with no small amount of electronics, which add the requisite ethereal feel to the beautiful string solos. At least – the first half of the cue is beautiful. The surprise comes as the piece develops and the modern percussion kicks in – not surprising that that kind of frankly hackneyed scoring appears in a 2015 film score, but surprising that someone as gifted as this composer wrote it. That contrast – subtle textures carefully intertwined but also woven together with vaguely Remote Control-type clichés – is very odd but runs through a surprisingly high proportion of the score. That Marianelli took the time to develop (mostly synthetic) Tibetan sounds and integrate them carefully into his orchestra – but then dumped a load of cheap Game of Thrones percussion over it – is rather strange and I can’t really make sense of it. (One can only assume those were his instructions – I’ve never heard anything quite like it from him before.). What one might expect to be the real pivotal moment of the score – the lengthy “Time Runs Out” – moves along with pace but not much else. In total contrast, “Lost” – which follows immediately afterwards – is the best of the “action” cues, the composer creating a swirling cacophony of sound mirroring the confusion and despair of a whiteout. The highlights are those moments when the composer injects more emotion – “Starting the Ascent” is admittedly still somewhat dogged by the cheap percussion but there’s real humanity on display, drive and excitement and beauty. I also like the occasional use of wordless female vocal (which actually starts in the opening cue, though is heard more freely in the beautiful “Someone Loves Us”) – which is much more like how I expected the whole score to sound. “Last Words” is strained, anguished, harrowing – very impressive. And perhaps the best of all is saved for the very end – the beautiful “Epilogue” thoughtful and contemplative but also moving. Everest has some moments of really high quality but also some which are surprisingly bland and anonymous, a curious mix of the composer’s typically classy style with generic Remote Control era stylings that only sporadically works. When it focuses on the beauty of the mountain or the emotions of the climbers it certainly succeeds and those parts of the score are very satisfying, but other parts are just a bit too soulless to make me think many people are going to listen to this one very often. The peaks are very good; but you have to navigate more troughs than you might expect in order to reach them.